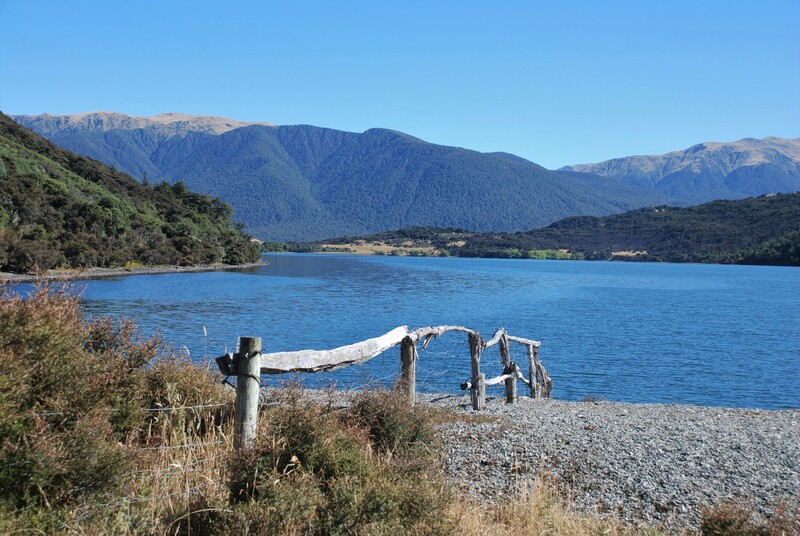 Lake Sumner is in the Lake Sumner Forest Park as are other lakes such as Loch Katrine and Lake Taylor. 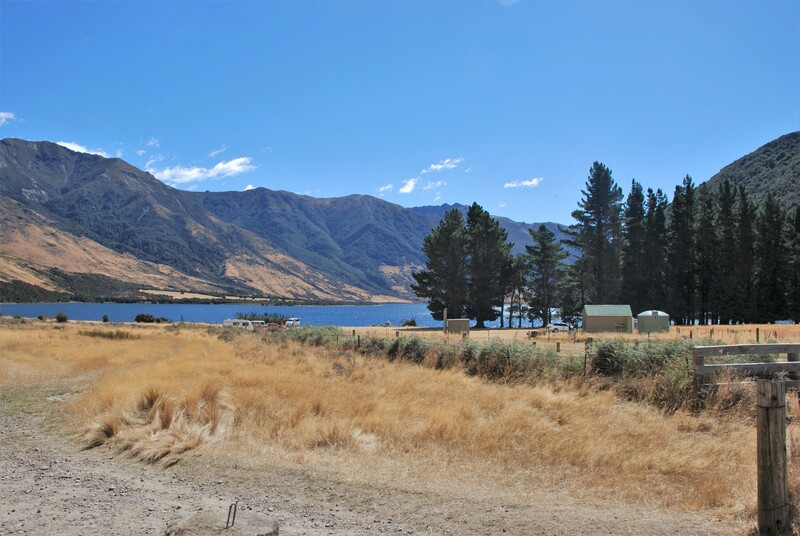 We stayed the night at Loch Katrine doc camp (see Lake Taylor, Loch Katrine and lake Sumner post – Part 1) After a misty start the weather cleared to a stunning day and we headed to Lake Sumner. 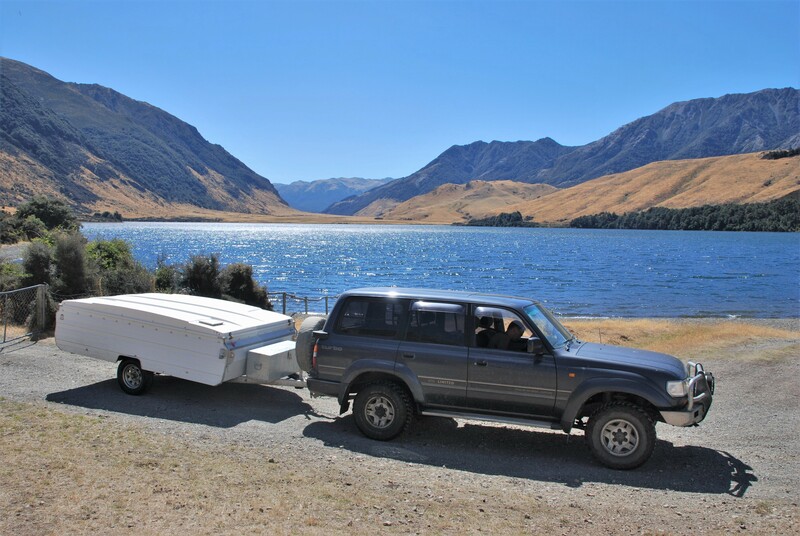 The 4 wheel drive road wound up the side of Loch Katrine for a few km before ending at locked gate. 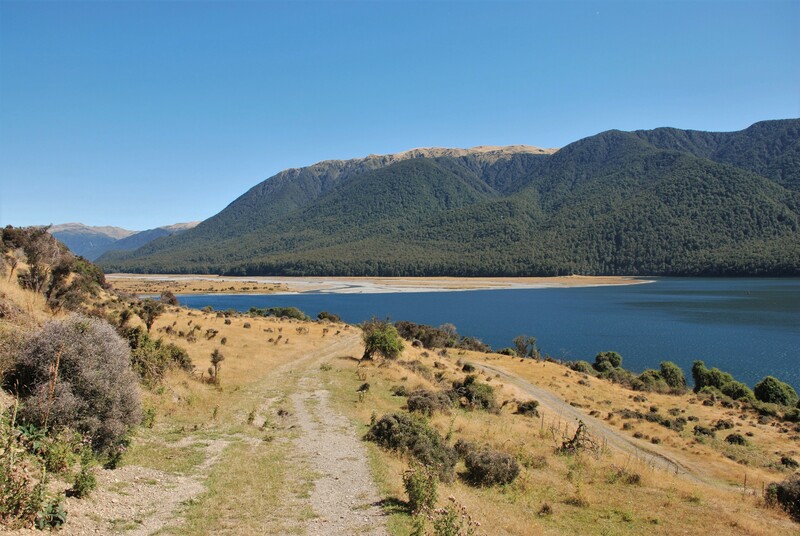 We walked the rest of the way to lake Sumner, an easy walk along the track taking about half an hour with stunning views. 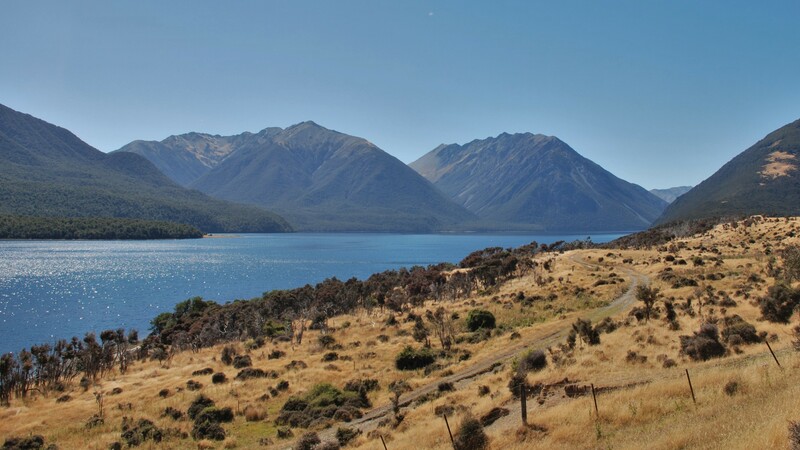 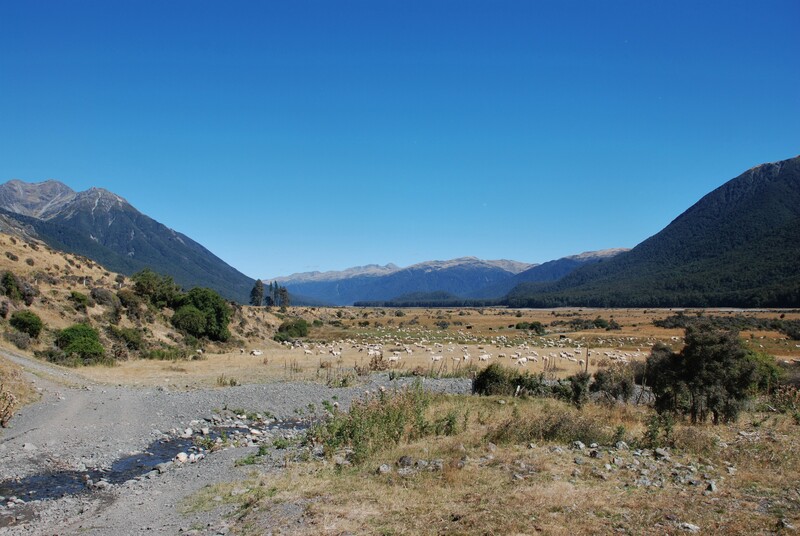 Lake Sumner is a lake located about 100 kilometres northwest of Christchurch in the Canterbury region of New Zealand’s South Island between the Lewis Pass and Arthur’s Pass National Park. 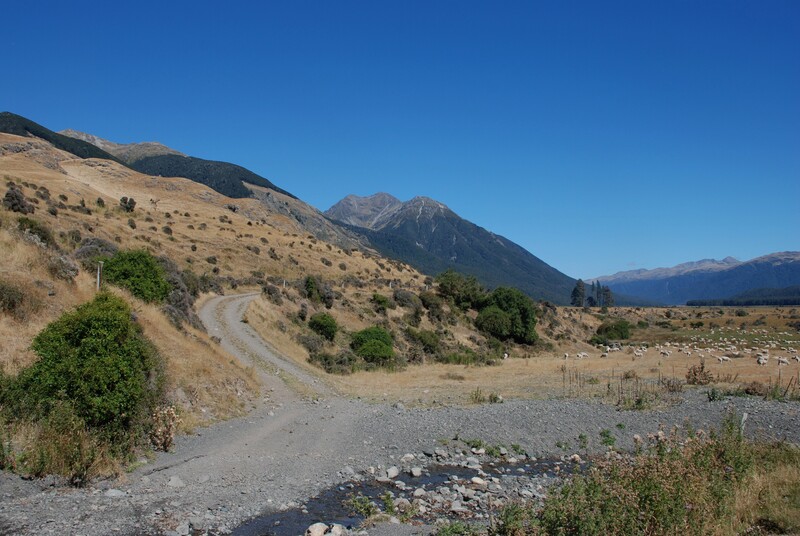 Due to its reasonably remote location and difficult vehicle access, it is very rarely ‘busy’ which suits us. 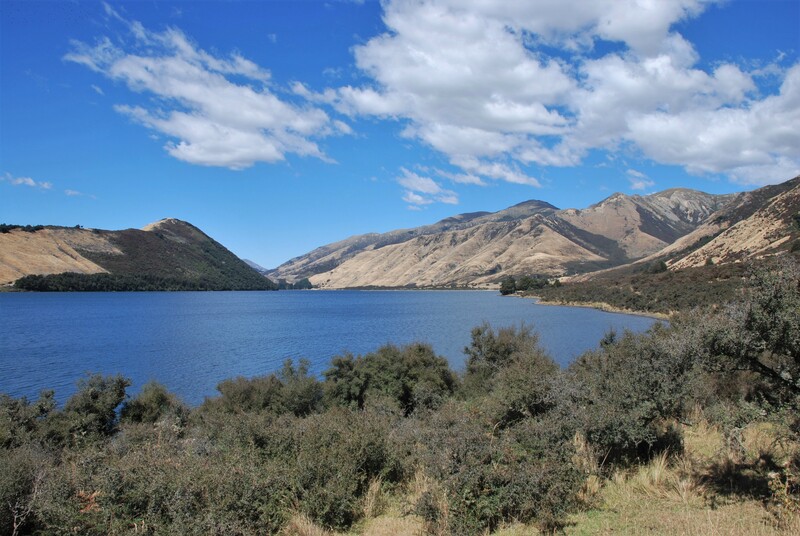 The area is characterised by these lakes, beech-clad mountains, wide rivers and natural hot springs. 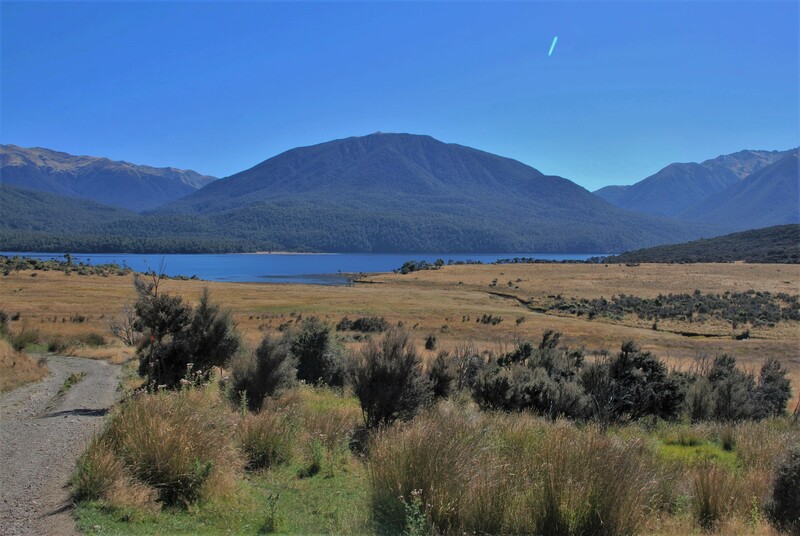 Loch Katrine inlet channel – the sticks mark the start of the channel from Loch Katrine to Lake Sumner. 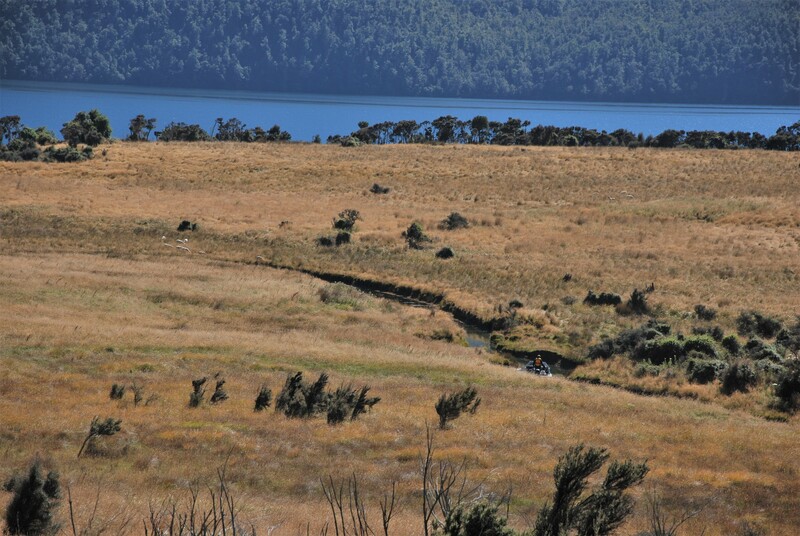 The inlet channel of Loch Katrine is about 500m in length, 3m to 5m in width. 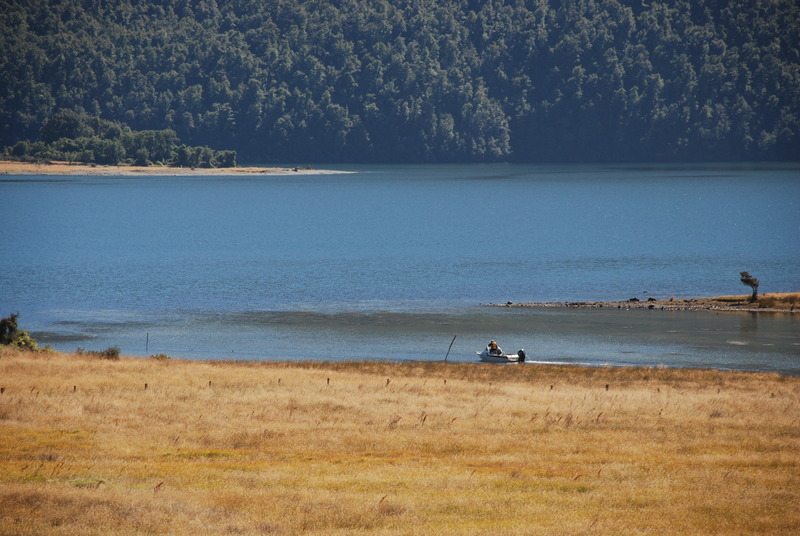 This is a common route for boaties to access Lake Sumner. 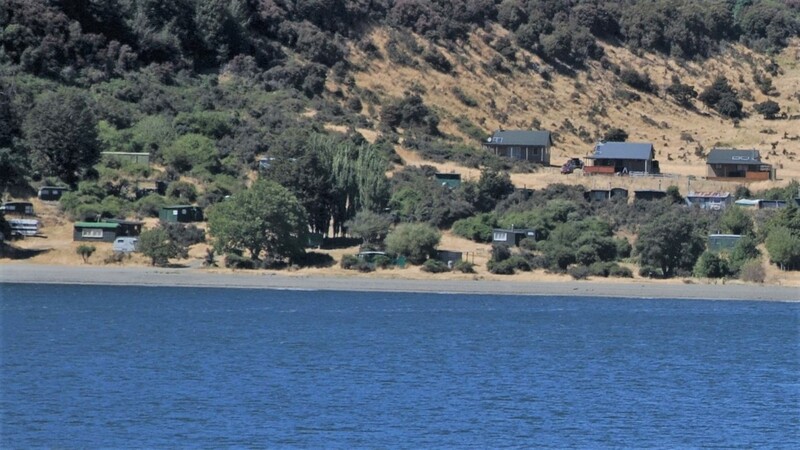 You can just see the boat going through the channel in the middle of the photo. 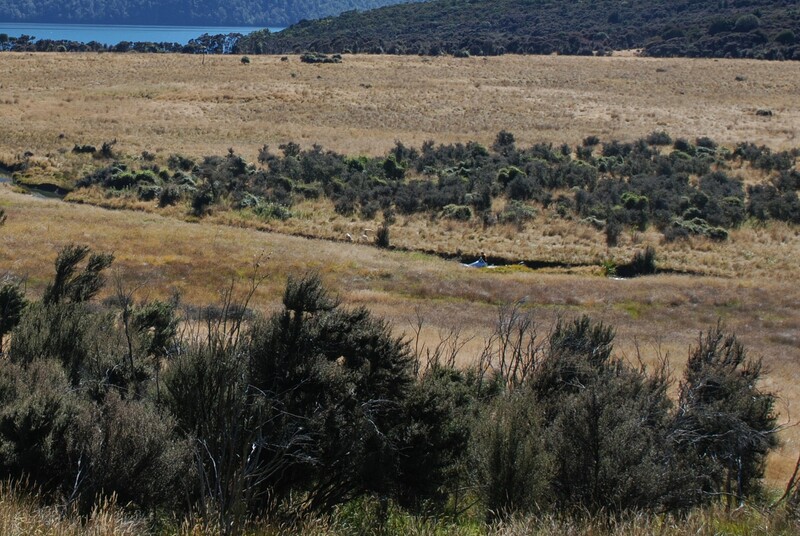 Lake Sumner on the left of the photo and Loch Katrine on the right. 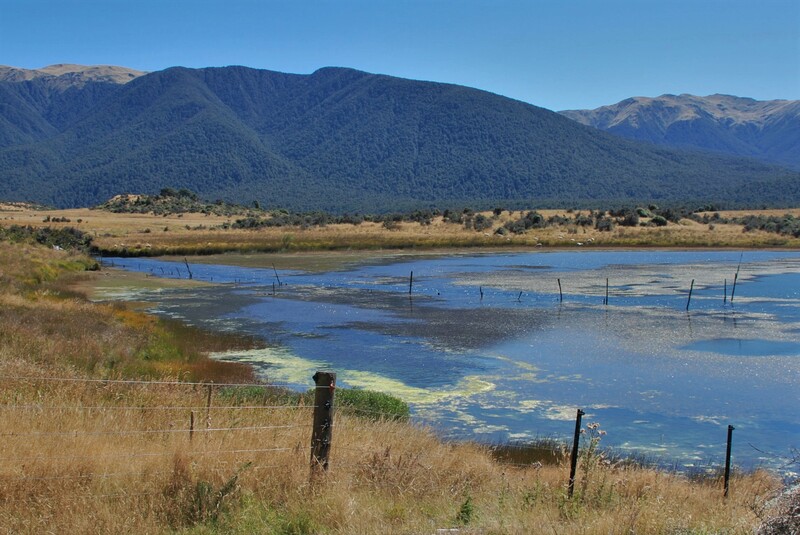 Lake Sumner – beautiful high country lake with beech forest in the background. 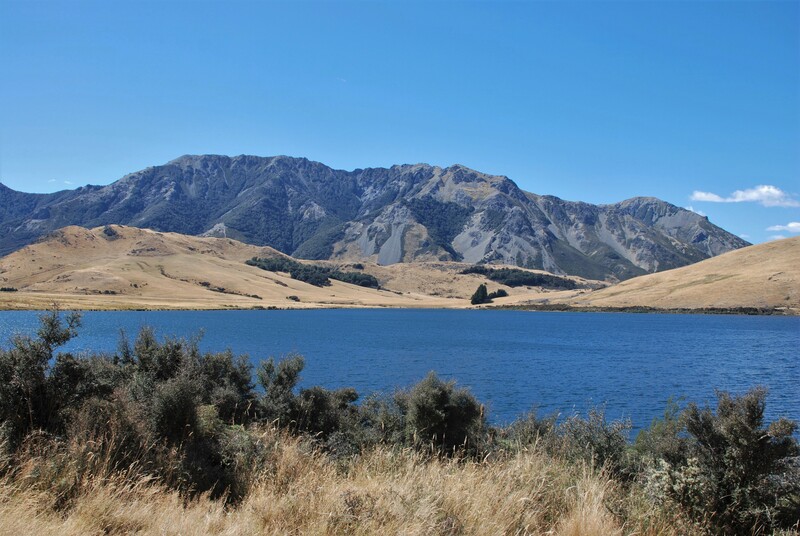 There are plenty of walking and hiking tracks in the Lake Sumner area. 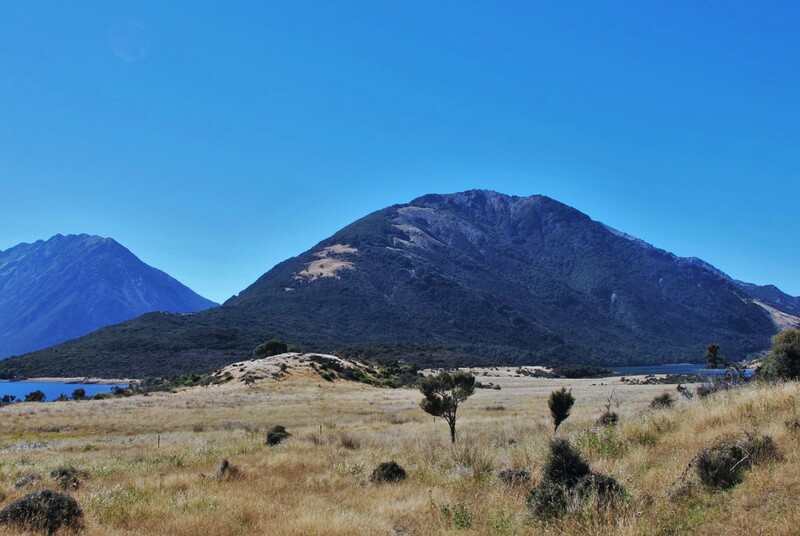 Details of all these walks can be found on the Department of Conservation Web site. 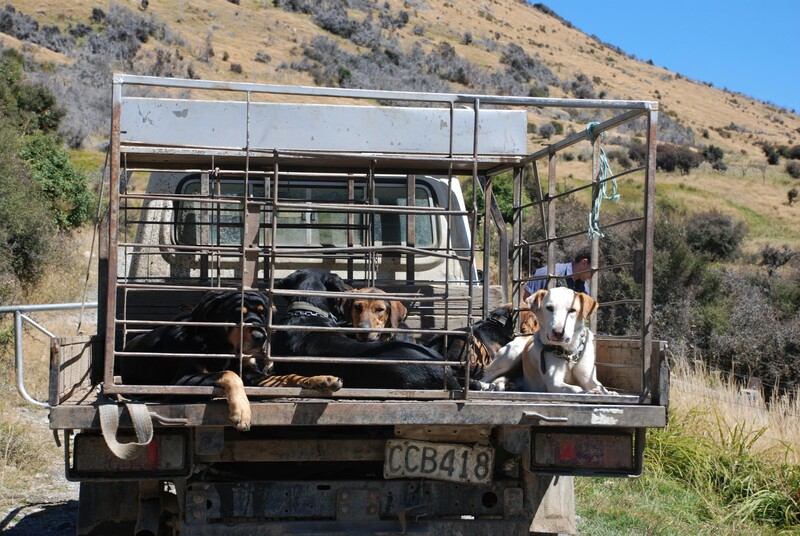 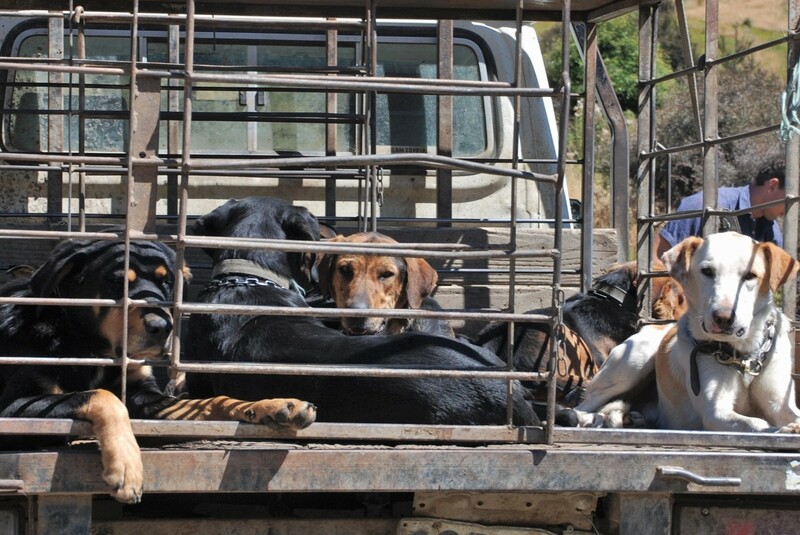 I think there were seven dogs on the back of this ute, just lazing in the sun.